When former Ohio Secretary of State Ken Blackwell has thrown his support behind former Lt. 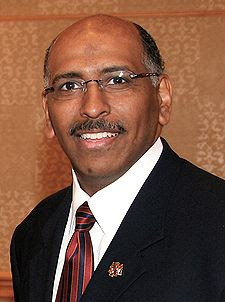 Governor Michael Steele of Maryland.I knew it was just a matter of time.The Blackwell endorsement was the catalyst that propelled Steele to win the national Republican Party Chairmanship. Michael Steele was born in my hometown of Washington DC in 1958 . Steele won a scholarship to attend John Hopkins University in Baltimore ,Maryland.Steele graduated from John Hopkins in 1981.Steele then spent three years in seminary school studying to become a priest, he subsequently entered law school at Georgetown where he graduated in 1991. 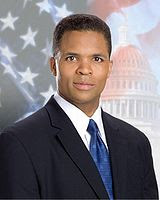 According to Wkipedia " Steele became chairman of the Prince George's County Republican Central Committee.In 1995, the Maryland Republican Party selected him as Maryland State Republican Man of the Year. He worked on several political campaigns, was an Alternate Delegate to the 1996 Republican National Convention in San Diego and a Delegate to the 2000 Republican National Convention in Philadelphia that ultimately chose the George W. Bush ticket. 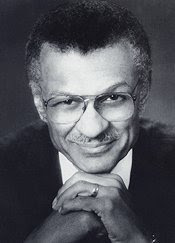 In December 2000, Steele was elected chairman of the Maryland Republican Party, becoming the first African American ever to be elected chairman of any state Republican Party.In 2002 then Congressman Robert Ehrlich chose Michael Steele to balance the ticket in his run for governor against then Lt. Governor Kathleen Kennedy.Kennedy denigrated the accomplishments of Steele by stating that "By contrast, Mr.Ehrlich's running mate, state GOP chairman Michael S. Steele,brings little to the team but the color of his skin." The Ehrlich-Steele ticket subsequently won,51%to48%. Lt. Governor Steele was featured as a rising star in GOP circles this past decade. 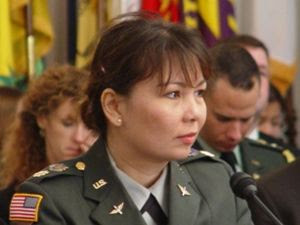 In 2004 and 2008 he played prominent roles in the Republican party conventions.In 2006 he ran for Senator form Maryland .Steele received endorsements from many conservative notables ,and he also received endorsements of support from his former brother in law ,Mike Tyson.This is not a typo ,Steeles's sister Dr. Monica Turner was married to Tyson .Steele also gained the endorsement of entertainment mogul Russell Simmons.Steele subsequently lost the senatorial race to then Democratic congressman,Benjamin Cardin by 55 %to 44%. The rising star of Michael Steele parallels that of Barack Obama. With Obama and Steele on the Democratic and Republican scene,African American men now play an integral part in both political parties. Former Detroit Mayor Kwame Kilpatrick has asked the court to allow him to travel to Texas.It is rumored that former Mayor Kilpatrick will visit Dallas to apply for employment.Earlier in the infamous text mail scandal he reportedly left Detroit to visit with Bishop TD Jakes. 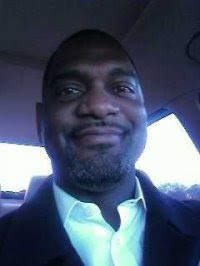 I believe in the American judicial system , Kwame has paid the price of his actions.Now he should embark upon a new life. A new life free of persecution should await him or anybody who has paid their debt. I will not defend the actions of the mayor . It is best to embrace a lifestyle of a monk.Kwame Kilpatrick as we say in Texas "just got caught up ".Clearly Mayor Kilpatrick was not a monk, his detractors would say he was more like the famous monk Rasputin.Rasputin was the Russian monk that was involved with the tsarist intrigues of the early 20th century.The intrigue in Detroit did not match the Russian intrigue of tsarist era.. The following is the 2008 Nightline piece on Kwame Kilpatrick. Every presidential office carries with itself, supporters and opponents. With this comes a desire to laugh at our leaders. From Rich Little who parodied President Nixon to the various sketches on Saturday Night Live ,we have chuckled at our presidents.The latest presidential impressionist is the you tube phenom ,"Alpha Cat".Expect this cat to parlay his unique style and look for years to come. This week the Gospel Sunday Devotion features the music of the Reverend James Cleveland 1932-1991.Reverend Cleveland was a a gospel singer, arranger, composer and arguably one of the most talented singer-preachers of his era.Reverend Cleveland was born in Chicago,Illinois and was taught by the great Thomas Dorsey,the father of gospel music.Reverend Cleveland began singing at Chicago's Pilgrim Baptist Church under Thomas Dorsey ,from there he began a career that lasted almost forty years. Reverend Cleveland performed with such notables as Aretha Franklin and Albertina Walker,known for his raspy delivery and his choir,Cleveland is still missed to this day by his legion of fans. Each generation has a call to duty.For me it was the 1980"s with the apartheid movement.For this upcoming generation of young Democrats ,they now live in the age of Obama.I have been back at my alma Mater Southern Methodist University and I have found some astute political commentary on campus.Today's featured blog is from one of the young leaders on campus. Linwoood Fields ,SMU student. 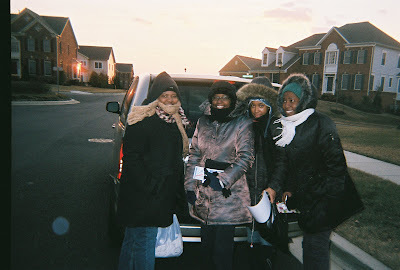 During the 2008 presidential election, history was made here in the United States of America. Sen. Barack Obama, the young U.S. Senator from Illinois, was elected the 44th President of the United States. Not only did President Obama become the first African American to hold this office, he won the presidency in convincing fashion. Many have said that President Obama’s campaign was the most well-done campaign that ever occurred in the history of presidential elections in the United States. Due to his determined and optimistic demeanor to reach all American citizens regardless of race or economic status, President Obama won not the support of the people for voted for him, but their confidence to lead this nation into the next chapter of its history. When looking at the Electoral College , I was very close in determining the exact number of electoral votes for each of the candidates. The final tally of my votes was in favor of President Obama defeating Sen. McCain 374-167. For the majority of the states I chose for each candidate, I chose the right state that each candidate were projected to win. Yet, there were five states that I chose that were incorrect and caused my final count to be more than what was actually verified. The five states were Idaho, Missouri, Nebraska, Utah, and Virginia. Virginia, normally a Republican state, went to President Obama; he spent much of the end of his campaign in that state, and it proved to be a factor in winning it. Nebraska ended up going to Sen. McCain; the state split its electoral votes because it is written in their state constitution that the presidential candidate who wins the majority of the state’s votes will get the majority of their electoral votes. Idaho and Utah went to Sen. McCain ; both Idaho and Utah have been constant states of the Republican Party in previous election in 2000 and 2004. Finally, Missouri took the longest time determining the victor of that state. After almost 3 weeks of counting the votes because of the close margin, Missouri was awarded to Sen. McCain . The 2008 Presidential Election was an event that changed the landscape of America. An African American was elected President of the United States; this accomplishment has never been achieved before November 4, 2008 by a man of color. Before anyone knew who Barack Obama was, no one including myself never thought that a man of color would become the President of the United States this early in my lifetime. The significance of this historic election is momentous; yet, there were many factors that placed President Obama into the most powerful position in the free world. According to the exit polls from various and creditable news sources, President Obama was able to gain the support of many groups that many figured would be impossible obtained to help him be elected. From the exit polls on CNN.com, the margin of men who voted for Obama and McCain was very slim in comparison of the number of women who voted for President Obama in larger numbers than for Sen. McCain. As it relates to age, people who were 18-29 years old had the highest percentage rate out of any other age range. This is very huge because the 18-29 age range only represents 18 percent of the general population in the United States. This meant that many college students and young professionals made it a point to get out and express their interest in selecting President Obama as their president. 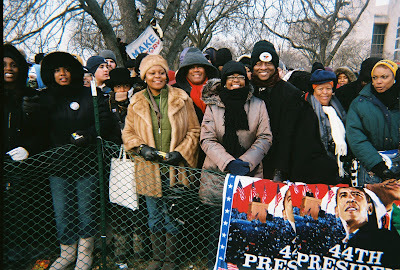 From the race point of view, minorities who included African Americans, Hispanic Americans, and Asian Americans came out in full force for President Obama. There was a large majority of African Americans who voted for the President, over 90 percent of eligible voters. Hispanic and Asian Americans had a good turnout with over 60 percent of their votes going for President Obama. Another eye popping statistic is the first time voters’ percentage. Many of the first time voters decided that President Obama was best suited to handle the challenges that lie ahead for the new President. About 50 percent of first-time voters decided weeks before Election Day that the President Obama was their right choice. All of these exit polls indicate that President’s appeal to the younger generation of voters was a primary factor in him winning this momentous election. In the end, I believe that President Obama will bring honor and respectability back to this country . Jazz great David "Fathead "Newman passed away on January 20 ,2009 .Newman was a member of the Ray Charles band in the 50's and 60's . "Fathead" as he was affectionately called passed away from the effects of pancreatic cancer .Newman was 75 years old . "Fathead" was born February 24,1933 in Corsicana,Texas.He soon moved with his family to Dallas, Texas where he graduated from Lincoln High School. Newman furthered his studies at Jarvis Christian College in Hawkins,Texas where studied music and theology. Newman met Ray Charles in 1954 and began a twelve year association with Charles as his tenor saxophone player. In 1959 Charles was instrumental in debuting Newman's debut album,” Ray Charles Presents David Newman "which included the classic Newman standard "Hard Times". Newman’s' latest album "Diamondhead" was released in 2008. 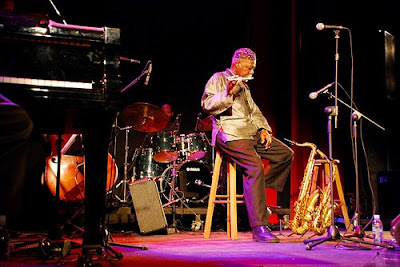 Newman was scheduled to play later this month at the University of Texas @Dallas Jazz Festival on January 30 ,2009. David "Fathead" Newman a jazz great , David "Fathead" Newman a Dallas legend. 3 o'clock am wake call from Dallas. My good friend Mike Hasty's email alert and message, time to make a change. Change from sleep and comfort of my sister Brenda's home to the cold and discomfort of a winter morning rail ride. No time to sleep. This is the time to witness history. How many people can witness history? At last count, 2 million people witnessed and cheered his name "OBAMA ! OBAMA! ". The cheer began on the train ride from Prince Georges County into the District of Columbia. Commuters cheered his name non stop on the ride from the suburbs to the District. The line at the metro station was crowded at our appointed 4:00 train ride. We missed the first two train rides, because they were full and caught the 4:30 ride into town. Our stop was the first on the route and it was crowded at each successive stop with commuters jockeying for space at each rail stop . Fifteen minutes later my family disembarked at the Federal Center rail stop. We walked from the the cold wintry air of despair into the warmth of a generation of hope as my daughters chanted, "Yes We can ". At 5:00 in the morning the winter air of DC says "no you can't" when it comes to staying warm. After sevaral check points and sub-freezing weather, we were at last in the silver section ticketed to members of my family. My thanks to the senator, and my best friend Railroad Commissioner Michael Williams for providing tickets for my family and me. For hours we waited patiently as the sun dawned on a new America. The chant still going, "Obama,Obama !" As I told the South African news station, that interviewed me, I was not only present to witness this for Texas, but also for the thousands who marched with Dr. King including my mom, and the millions of Americans who celebrate not the victory of party, or victory of man, but a victory of spirit. The spirit of the day can best be summed up by the stirring words and oratory of the man and the moment . Washington DC is not Dallas. For one thing most people here are fans of the Washington Redskins, already I see some issues there. The other thing that I see different is the temperature. The temperature in my car registered zero degrees on Saturday. In a word its too cold. The temperature for Tuesday, is supposed to be " breezy" another word for cold. The people here in DC are friendly. It is a spirit here that transcends anything that I have ever seen. Most people feel like they are a making history not just witnessing history. This is truly an American historical event. On this inaugural weekend, I have seen old and young, people of all colors, and of both political parties. Democrats and Republicans alike are united in the celebration of the triumph of American democracy. The crowds have been crowded but not as much as they will be tomorrow. So today, my family walked around the Capitol and checked out where we will be seated for the swearing in. In picking up the inaugural tickets from Senator Kay Bailey Hutchinson's office, I saw people waiting 3 city blocks long for their inauguration tickets. While there were crowds everywhere in DC, there were no crowds in Senator John McCain's office. Three aides watched as streams of Capitol visitors headed to pick up their inauguration tickets from their senatorial colleagues. As the aides to McCain passed out inauguration tickets, I wonder what is going through their minds. Change can happen. Speaking of change, you need to bring some pocket change. You can buy many of the items that are for sale. Anything with the likeness of Obama is being sold as quick as they pull it out. 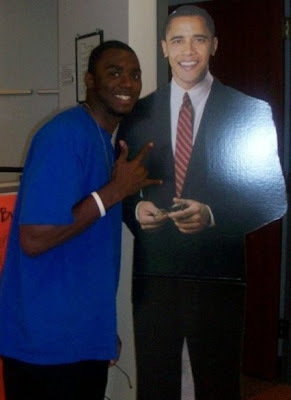 Its Obama mania, 25 hours a day. Somehow they have found an extra hour. Within that extra hour you can attend one of the many parties here in DC or buy Obama mania. One of the radio station's has changed their call name to ObamaFM. You can listen to Obama music on the ObamaFM radio station. So much for now, I have to stand in line to buy metro rail passes. The city is on locked down for the next 24 hours. The bridges into DC will close down this evening and the only way to enter into DC will be by rail. 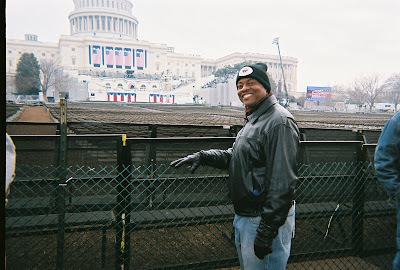 More Obama inaugural posts and lines to follow. Today begins another pilgrimage to my birthplace of Washington D.C. , to witness history .For decades , I have watched the presidency come and go. As a young boy in Dallas, I was taught that anybody could be president. I believed that, only because I was told that it was true. I always had my doubts. Seeing is believing ,and now today a boy sees as a man . Change that you can believe in. God Bless America ! Every Sunday Morning this blog will stay in the moment . The moment is is a church service . I attempt not to convert or send a specific message .The only message I send is that I love the Lord . I spent a Saturday afternoon watching my favorite past time , football. Unfortunately the Cowboys were not playing. My friend Kelvinal Stumon is one of the biggest Cowboy fans I know . 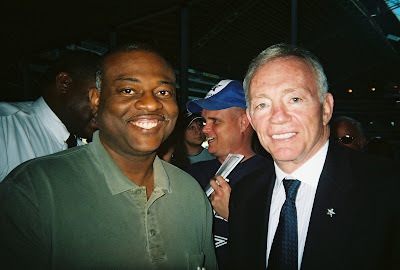 He and I share a interest in seeing the Cowboys returning to the playoffs and win a Super Bowl. Kelvinal wrote the following letter to Dallas Cowboy owner Jerry Jones . I hope Jerry reads the blog and send us a shout out. This is an opportunity to show what people said about you was inaccurate and baseless. This is a year for you to right all of the inadequacies from CEO, HBO and Water boy. The climate and culture of winning has to be recreated and redefined for the Dallas Cowboys. The outside world of Sportscasters, Sportswriters and any other non-football personnel have formed their beliefs upon the past few seasons and the past few Decembers. And in some cases it's been justified. However, none of them suit up, lace-up, run wind-sprints or take any snap counts. Therefore, the sum of all fears lie in the hands, minds, and personal beliefs of 53 men who have the choice to believe in external sources or internal players. At some point and I believe that you already know, "Good is not enough". It doesn't set the standard that we as fans of One of the greatest shows on earth deserve. Losing and winning is defined by one word and that's commitment. It separates the contenders from the pretenders. It always has and always will. Individuals can always be great. But, can they put aside their personal desires for the collective betterment of the team. Individuals win accolades. But, teams win championship. Teammates need each other. Call it us against the world mentality. Because at the end of the day. It's about the star at midfield and not the ones on the sidelines. You now have the choice at hand in the offseason to succumb to what's been said by non-players or choose to embrace the team concept. And believe in yourself and consistently demonstrate, execute, manage and deliver expectations over a 16+ week period. After which even in spite of injuries and other NFL-team shared deficiencies you will overcome and prove to all that you deserve the mantle and title again of "America's T-E-A-M". I received a letter from a good friend of mine , Dr. C.T. Vivian of Atlanta Georgia. In this letter Reverend Cordy T. Vivian articulated a message of hope directed to the embattled senatorial appointee.I asked Reverend Vivian a facebook friend of mine, and a long time civil rights advocate to submit this letter , on my blog for your reading pleasure. I am honored that he has submitted this to my blog , but most of all I am honored and humbled to call this Civil Rights veteran legend a friend. Thank you , Reverend Vivian for all that you have done and all that you are doing now . 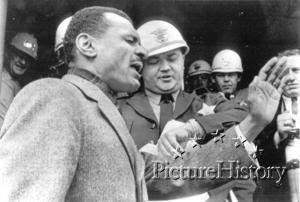 I remember working with you to keep Provident Hospital open on behalf of all us on the South Side (Chicago, IL). You are 71 and have more experience in ways that the U.S. Senate knows not. You paid your dues when others, all but a very few, didn't even know what dues were. You paid your dues when our grandparents told our parents, and our parents told us "you have to know twice as much, to get half as far." Your strategy, struggles and victory will be the next great political struggle after Obama. Remember, your every victory has been ours, and will forever be. Your walking into the United States Senate has been a long time coming. I await you taking your seat in the U.S. Congress. We will be thankful to God and you. The key to your every victory was your inner strength – which was greater than their outer political power. We have, and still applaud, every victory you made possible. They were for all of us. You were accomplished in a time when such seemed almost impossible. You have been worthy, and you remain so. You will be the only one in the Senate to properly speak and debate our cause, and have what it takes. You represent a strong stream of American life, thought and history. There are those who will say “we don't need that any more, that period is over now.” This is not so, especially when the present Republican President would not speak to the N.A.A.C.P. for fear of having to answer direct questions from a group prepared by intellect to do so. During this recent election, Senator McCain brought forth a racist governor from Alaska as his running mate. He did so without examining her attitudes, and obviously did not feel he needed to do so. In this election, neither party talked of her attitude or asked African-American leaders in Alaska about her. This was neglectful, and we could have paid a heavy fine for this. For these reasons and many more, we need your representation in the U.S. Senate. 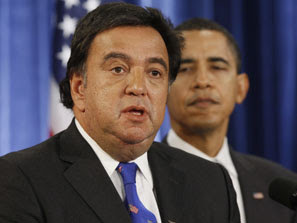 I was stunned by Governor Bill Richardson's announcement last week , that he was withdrawing from President Elect Obama's appointment to be Secretary of Commerce. The scandal that Richardson is involved in , is called a pay for play . The Richardson scandal has not played out like the Blagojevich scandal because of the obvious , the Illinois senate seat was occupied previously by President Elect Obama ,and the governor of Illinois himself was arrested. That alone makes the Richardson investigation minor in comparison. The following statement from Governor Bill Richardson was reported by the Politico.com. For nearly three decades, I have been honored to serve my state and our nation in Congress, at the U.N., as secretary of energy and as governor. So when the president-elect asked me to serve as Secretary of Commerce, I felt a duty to answer the call. I felt that duty particularly because America is facing such extraordinary economic challenges. The Department of Commerce must play an important role in solving them by helping to grow the new jobs and businesses America so badly needs. "It is also because of that sense of urgency about the work of the Commerce Department that I have asked the president-elect not to move forward with my nomination at this time. I do so with great sorrow. But a pending investigation of a company that has done business with New Mexico state government promises to extend for several weeks or, perhaps, even months. " Remember during the past presidential campaign when Governor Richardson enthuasitically endorsed then Senator Obama at a critical time in the campaign . Whether Richardson is guilty or not I do not know. I feel that Richardson has made some enemies in Democratic circles that no doubt will take great joy in Richardson's investigation.Perhaps it was the Clintonistas that had leaked the info to the national press. It was James Carville , the Clinton right hand man that called Richardson a modern day Judas . Politics is a full contact sport that holds no prisoners and knows few friends. In the words of James Brown , it may have been "the big payback , revenge". Jack Kemp , the former Republican 1996 vice presidential nominee , and past Republican Presidential nominee has disclosed today that he has cancer . This blog is not a memoriam ,it is a tribute to a conservative with a heart. Some Republicans have never felt comfortable in situations with minorities or the working class. Jack Kemp broke the mold in Republican circles . Perhaps it was because of his working class background , perhaps it was because of his years playing in professional football . Kemp was an All star for the Buffalo Bills during the 1960's. Football as the national pastime,has a way of bringing all cultures and people together. Kemp felt comfortable in his political skin as a Republican . 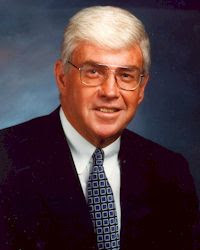 Kemp after his football career was over, ran for Congress and was elected to represent the people of Buffalo from 1971-1983. Kemp's political philosophy was more attuned than anyone else in the Republican party to inner city concerns . Although liberal on many social issues,he was also known as a fiscal conservative.Kemp was a supply-side economics champion,along with Congressman William V. Roth, Jr. they proposed tax-cutting legislation during the Reagan era. In 1988 Kemp ran for president to succeed Ronald Reagan. The eventual winner , President George H.W. Bush appointed him to be Secretary of Housing Urban Development. Kemp championed public housing tenant ownership and supporting enacting enterprise zones .Those two causes if properly and adequately supported and funded can alleviate urban blight as we know it today. In 1996 Senator Robert Dole chose Jack Kemp to be his vice presidential nominee. Kemp outshone Dole on the ticket , with many wishing that Kemp was the nominee . It was ultimately Kemp's progressive Republicanism that made Repulicans support more conservative presidential candidates. Kemp did not pass the conservative litmus test ,he supported the NAACP , the Martin Luther King Holiday , and affirmative action. Ultimately Jack Kemp's celebrity much like Arnold Schwarzenegger and Collin Powell made Republicans accept him as a Republican. Justice Allan Page was one of my heroes as a young man . 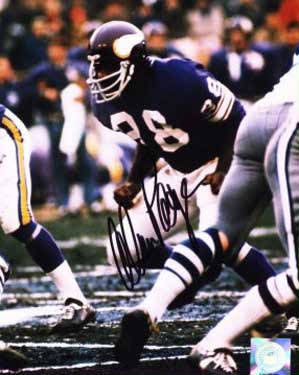 Page anchored the famed Minnesota Viking football defense , known as the "Purple People Eaters" . In a change of life career move Allan Page stopped hitting quarterbacks and began to hit the law books.Justice Page received his political science degree from Notre Dame , before embarking on his professional football career. Allan Page was drafted by the Minnesota Vikings in the first round of the 1967 NFL draft ,and played with them from 1967-1978 . In 1978 Page received his law degree from the University of Minnesota. Page practiced law in the off seasons while he finished his NFL career with the Chicago Bears 1978-1981. 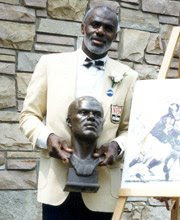 Page became an accomplished lawyer , and turned to politics and was elected to the Minnesota Supreme Court where he has served since 1992.Page was elected to the NFL Hall of Fame in 1988. Justice Allan Page was quoted as saying.
" The court -- in an opinion written by Justice Alan C. Page -- said that Coleman's attempt to include the rejected absentees did not meet the criteria for counting ballots laid out in a previous ruling, specifically that both sides had to be in agreement for any additional ballots to be counted. "Because the parties and the respective counties have not agreed as to any of these additional ballots, the merits of this dispute (and any other disputes with respect to absentee ballots) are the proper subject of an election contest," . Bottom Line - Al Franken is now the elected Senator from Minnesota. Stuart Smalley - Al Franken Elected To Senate ! Well now its official .The Senator from Minnesota is the comedian , Al Franken ! Al Franken follows in the esteemed footsteeps of Hubert Humphrey and Walter Mondale. I am not the one to criticize any state ,and who they would elect to sit in their representative body . The Senate is going to have more humorous outlook to its staid conferences with the former Saturday Night Live writer / actor as a member of the Senate. Al Franken is the real life Tom Dobbs character as portrayed the Robin Williams movie ,"Man of the Year " . Franken started out as a jokester and now he represents Minnesota. We should not be too surprised , Minnesota is the state that gave us Governor Jesse Ventura and now it gives us Stuart Smalley ! Doggone it , Minnesota likes him and now he is their senator! Joe Montana Stomps in High Cotton ! The Cotton Bowl is leaving Dallas and headed for the greener pastures of Arlington ! I will always treasure the memories of the Cotton Bowl . I have started every New Years morning with the classic. Its the place where Jim Brown , Herschel Walker,and Roger Staubach , played their college bowl games . Its the place where Bo Jackson showed the college world he knew bowl games . It is also the place where the Joe Montana legend began . 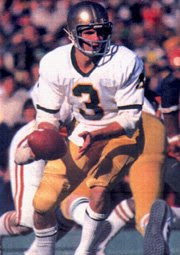 Joe Montana ,the Notre Dame quarterback engineers one of the greatest comebacks in college history. Seconds to go and Joe in the redzone! Cowboys fans , it started here in Dallas ! 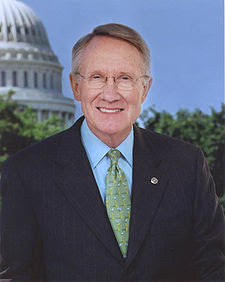 Democratic Senate Majority Leader , Harry Reid said in the following statement on December 30,2008. “It is truly regrettable that despite requests from all 50 Democratic Senators and public officials throughout Illinois, Gov. Blagojevich would take the imprudent step of appointing someone to the United States Senate who would serve under a shadow and be plagued by questions of impropriety. We say this without prejudice toward Roland Burris’ ability, and we respect his years of public service. But this is not about Mr. Burris; it is about the integrity of a governor accused of attempting to sell this United States Senate seat. Under these circumstances, anyone appointed by Gov. Blagojevich cannot be an effective representative of the people of Illinois and, as we have said, will not be seated by the Democratic Caucus. Okay ,let me say this I am not a Rod Blagojevich fan .I am a fan of principles. The facts are these ,the Governor has not been impeached .Remember when Bill Clinton was impeached . Clinton was not removed from office therefore he still had the power of the office.Bottom line , Blago has the legal authority to appoint ,now the moral authority is another thing .But we are talking about politics ,right ? Lets get pass the morality play. My question is this . Will the mainstream press see the Democrats "No Negroes Need To Apply " sign at the United States Senate . Harry Reid the leader of the Senate reportedly contacted Governor Blago and had a list of candidates that he did not prefer . Among them were President Elect Obama's political godfather , State Senator Emil Jones , Congressman Danny Davis , and Congressman Jesse Jackson Jr.
All three of them black . Meanwhile Reid pushed two other candidates ,Illinois Veterans Affairs chief ,Major General Tammy Duckworth and Illinois Attorney General Lisa Madigan, according to the Chicago Sun-Times. All of the above potential candidates would do a honorable job .To be considered because of a person's race or not to be considered because of race is deplorable if you are a Democrat just as much if you are a Republican. Often times Republicans are portrayed as insensitive racists , but what about the Democrats? They get a walk ,its people in the blogosphere like L.N Rock @ the africanamericanpoliticalpundit.com who are challenging the Democrats. Mainstream newspapers and media outlets are often times pro Democratic , and ignore Democratic insensitivity while highlighting Republican shortcomings.Whats up with that ? This kind of reminds me of the old southern saying . "Its like that pot calling the kettle black".